Every recipe has a tale that unravels to make a good story, some more interesting than others. This delightful Patio originates from a village near Mumbai in Gujarat, India called Tarapore. There used to be a Parsi Community in Tarapore but with so much migration at last count there are only a couple of them still living in this village. My own family lived in nearby Surat in the late 1800's but by the 1950's most of them moved to Mumbai, Kolkata and Pune. My grandaunts and aunts all loved to cook and create traditional food which most of us growing up took for granted. How fortunate for me that they have saved so many wonderful recipes to share and relish. I guess growing up I never realised how priceless each one would be for so many reasons and on many levels. 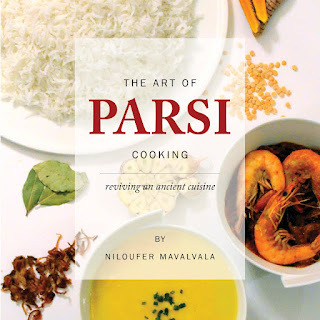 This particular recipe was often prepared with Dhun-Dar; (plain lentils and boiled rice often served on any happy occasion in most Parsi families). It is spicy for a reason; to be eaten as a pickle rather than indulged in as a main course.The gravy delicious enough to be mopped up with fresh crusty bread after! A treat for the whole family. I share my family recipe of 120 years with you in the hope that it lives on for another another century or two when it will be revived once more. It is simple to prepare, timeless and scrumptious. The Tarapori Patio with prawns and extra oil to preserve it. Grind together the red chillies to a fine powder., Now add the garlic, cumin, salt, turmeric and ginger topping it with vinegar to grind it to a paste. In a pan add the oil and the masala. Allow it to cook on a medium high flame until the aromas are fragrant and it comes to bubble and boil. Add the jaggery and allow it all to melt, stirring it well. Add the prawns, mix well, cook until they are cooked through. While you can use any variety of dry red chillies, I prefer to use the dark red flat Kashmiri Chillies if available. Allowing the masala to be added while the oil is tepid warm and not hot will allow it to cook slowly and not burn or dry up easily. Let the flame be medium and not too high. Dry roasting the chillies and the cumin helps the aromas and the oils to be released before grinding. If you wish to eat it all immediately and not pickle any of it reduce the oil to half to begin with. Add more if needed. 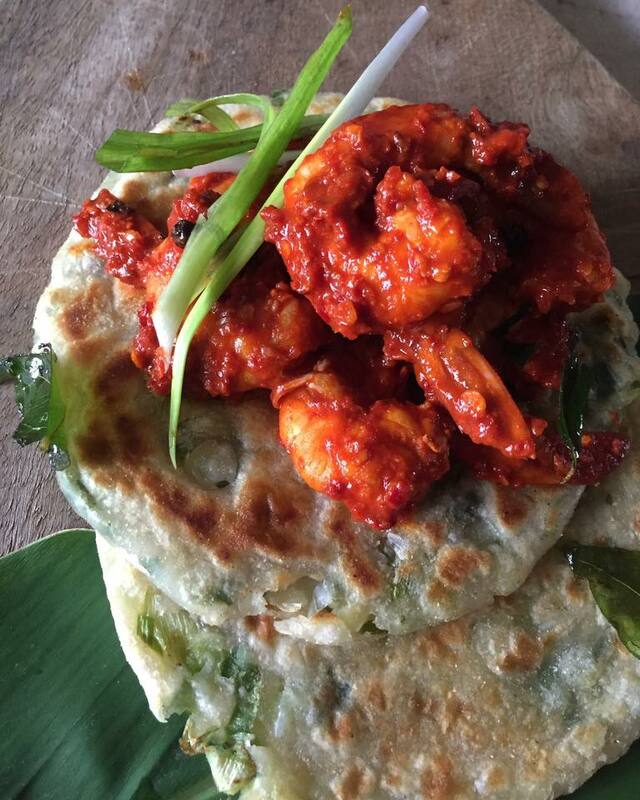 It is my personal preference not to add ginger to most prawn dishes. Feel free to try it out with it too. This is how I served it up to my guests with a rotli/pancake made up with scallions and sesame oil, flour and water. Everyone seemed to have enjoyed it. Delicious.